I live nearby so have been here many many times. Great beer selection, mediocre food, and not super cheap--$5 and up for most pints. Their own beers are pretty darn good however. I have never been disappointed in their beer or the selection of beers. I think the biggest disappointment has been the food. It isn't bad, it just isn't great. A tad pricey and not special for bar food--soggy buns, etc.... Don't go there hungry. They just added a nice outdoor seating area. They usually play Pandora and what plays can be hit and miss depending on the bartender. We like having it in the neighborhood but find ourselves going to Chucks or the Yard more often. Very comfortable and relaxed atmosphere. They've recently started brewing on-site as well and have produced a several beers that I've really enjoyed. Great rotating selection and very fair prices. Would be great if the parking lot behind them included a few spots that Naked City patrons could use as well. If I lived in the neighborhood, this would be a weekly stop for sure. Finally got the chance to check this place out! All 6 of us in the group ordered the Cantillon they had on tap, and man is it always a treat to find them. Naked City is the only place besides Malt and VIne that I've seen have anything from Cantillon. 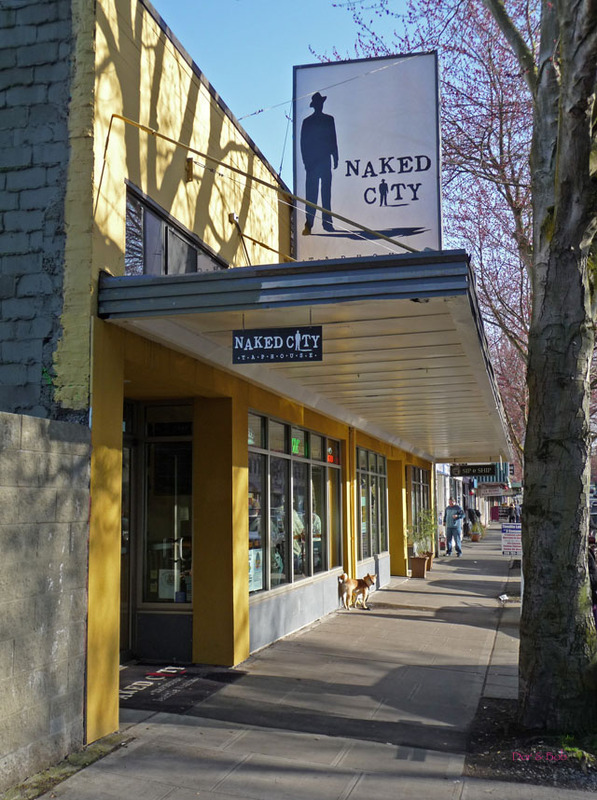 If you haven't had the pleasure to try their stuff, get over to Naked City and do so. If you like beer, you have no excuse not to. The owner was just cool as hell. He gave us the grand tour, and showed us their little 4 barrel brewery they've set up in the back. It's a great little setup for brewing stuff for on site consumption, and it sounds like he has a lot of really great ideas in store to get some of his own delicious creations on the way. What was awesome about his philosophy of what he's doing here, is he doesn't care if people order the beer he makes, or order any of the other offerings, he just wants to pour good beer. And they're doing a fine job of that. All in all, myself, and the Brewing Network crew were impressed with the place, and I look forward to see how things really shape up in the near future when the beer production begins! A brand new place in North Seattle this was a great place. Parking can be tough at times so it may take a few trips around the block to find the ultimate spot but it is worth the trips around the block. Once you enter you find this new brew/taphouse with over 23 handles of the best brews you can think of. All new bar top with a feel of new and old but this was just awesome. The bartender was friendly super knowledgeable in every means he helped me with my selections. I had to try a Naked City brew of which was there Hoptrocity RYE IPA brewed with Silver City brewing and this was a wonderful brew. Once they get there brewery up and running this place is going to be a must see in Seattle. The tap list was outstanding with a list that also told you what was coming after that keg blew on that exact tap handle. Geez thanks guys like I needed more of a reason to come back. It was some awesome Pac NW and out side the NW brews. I could have stayed for hours to drink what I had never seen before. But with time as a factor and more to see I had to bid farewell so I could make a few more places. 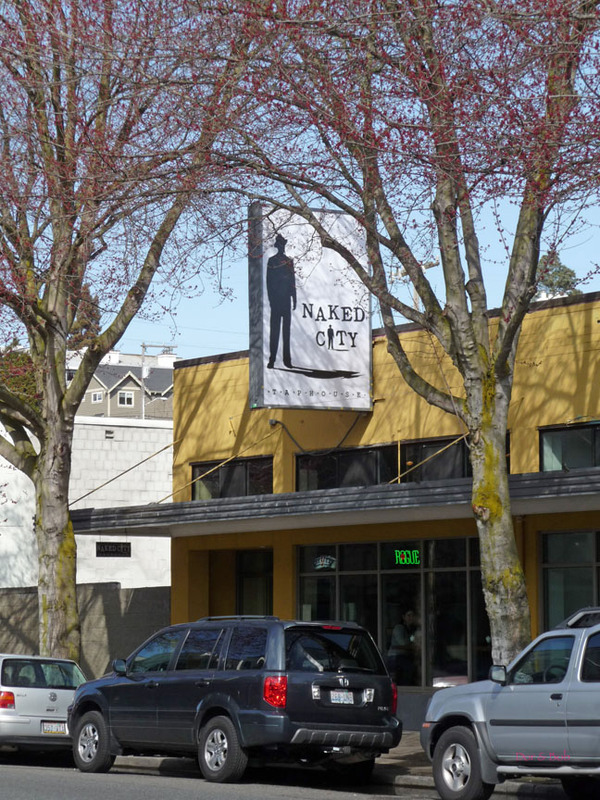 I will say this for sure naked City is going to be a breath of fresh air in the Seattle Beer scene. Don Averill the owner/brewer whom I met was super pleasant and was more than willing to bend my ear talking our favorite hobby beer. Stop by this is a great place. The food was pretty tasty also. The beer selection really is amazing. 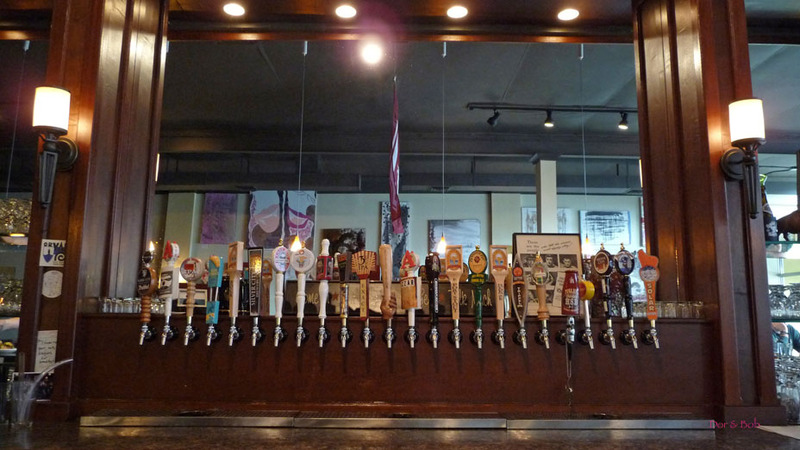 On our visit, there were 24 craft beers on tap, including many exotic choices. The range was all across the west (Washington, Oregon, California, and Colorado) but also Japan and Belgium. The pricing is variable, ranging from moderate for typical local craft beers all the way up to expensive for the less common choices. This bar has a high level of enthusiasm for craft beer. The bar is made of polyurethane-coated polished metal welded together and is quite comfortable (the plastic warms the metal). 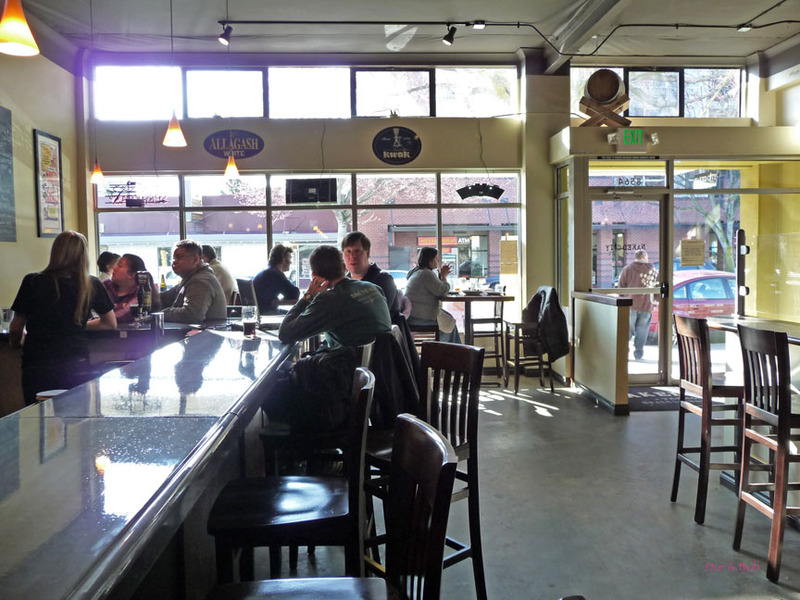 Tall chairs flank the length of the bar and are also at tall tables and small bar shelves (small area to rest your beer). A narrow section, that runs from the door through to the back next to the kitchen, has tables for dining (and kids are allowed). The two areas are separated by a short wall topped with glass panels. I went to Naked City for one of their brewers nights this week it happened to be Silver City Brewing. Excellent selection of beers most of them local or west coast including a beer they brewed themselves. I had a Super Goose IPA from Hales to start out with and it was very good. Then I switched to Silver City's beers and was happy with all of them except the IPA that I thought was a little weak on the hops for an IPA. Their Scottish was great as well as their cask ESB. I liked their beer menu they not only list what is on tap but below it had the beer that would be taking that tap next. They had some Russian River brews coming up that I might need to stop back to try. The food was good we stuck to appetizers and we were pleased. The pints start out at $4.75 with a few rare beers pouring for $6 for a pint. Parking is difficult but they have free street parking if you can find it. Pillagers pub was opening the next night right by Naked City so it looks like it's turning into quite a nice beer destination neighborhood.